When you think of typical Barbie dolls, words like “empowering” and “feminist” might not be the first that come to mind. That’s all about to change, though, because this morning, a brand-new Barbie just hit the market, and it’s going to make you stand up and cheer: Mattel has released a kickass entrepreneur Barbie that gets rich selling her placenta to wealthy Chinese businessmen! Wow! This limited-release, special-edition Barbie is about to inspire a whole generation of women with her resourceful, empowering plan to auction off her afterbirth to the highest bidder! According to Mattel, this strong, independent Barbie comes with a realistic placenta that she has chosen to sell to a group of mysterious Chinese executives at a corrupt corporation called GlamCorp Asia for cold, hard cash. It’s Mattel’s boldest Barbie yet, and it gives budding young feminists the chance to see a female role model who is empowered to make her own choices when it comes to arranging a meeting with an aging Chinese tycoon who she met on the dark web and selling him her afterbirth. It’s amazing that Mattel is so committed to teaching young girls that they can be anything they want when they grow up, including a strong, independent woman who auctions off her placenta to a dying Chinese billionaire who thinks that eating it will make him live for an extra 30 years! Sure, the newest Barbie still has her incredible clothes and shoes, but now young girls get to learn how to earn those clothes and shoes by selling a piece of Barbie to a desperate plutocrat in Beijing hoping to create an elixir of youth. 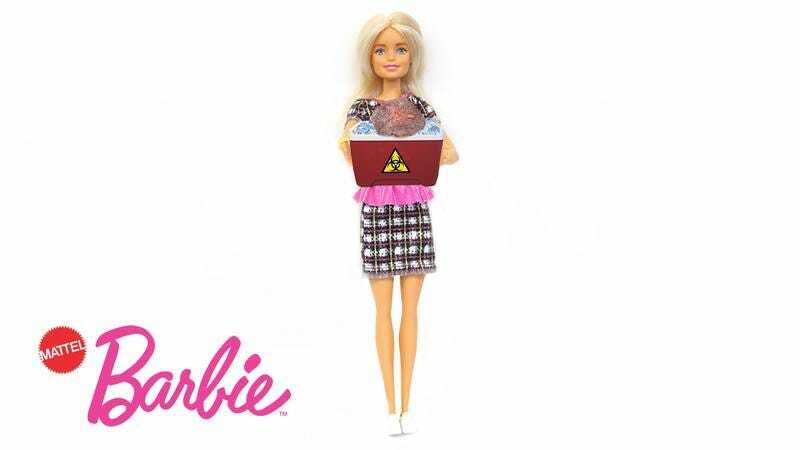 Smashing stereotypes and promoting feminism is no easy task, so kudos to Mattel for releasing this incredible doll. Now, thanks to Barbie, girls can learn that they can be whatever they want to be, as long as they’re willing to work hard, drive shrewd bargains in illegal auction houses, and figure out how to smuggle the profits of a black-market organ sale back into the United States. This is a major feminist victory for little girls everywhere, and we just can’t stop cheering!